Just posted this video review on youtube of my Seiko Superior 200m Shrouded Diver. A very cool diver from Seiko that is just a cut above the Monster Diver, for those that are looking for something a bit nicer. 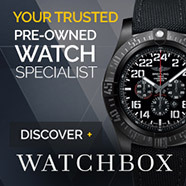 Great watch, great price. What else can I say! Seiko is the true king of affordable Dive Watches.